industrial machine knives and blades but also outstanding customer service. 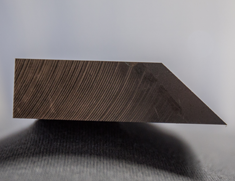 Strict quality guidelines, advanced manufacturing techniques, and highly-skilled sawsmiths allow us to provide industrial blades of unrivaled quality. IKS is your manufacturer and supplier for all of your cutting products related to the paper manufacturing and converting industries. 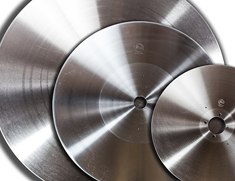 We offer one of the largest inventories of shear blades in the world-- learn more about our wide variety of products for the metal cutting industry. Our mechanical advancements combined with a dedication to innovation have made us leaders in the plastic, rubber, paper, and metal recycling industries. International Knife and Saw (IKS) is a leading manufacturer and supplier of high-quality industrial machine knives and blades. 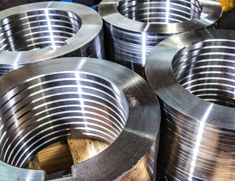 A privately owned American company, IKS provides cutting tools, technical consulting services, best practices training programs, and OEM equipment upgrades to customers throughout the world. 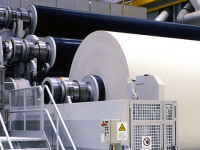 Recycling Industries for Plastic, Rubber, Paper and Metal Products. Our industrial machine knives and blades can be found in the plants of many international companies including Kimberly-Clark, Proctor and Gamble, Georgia Pacific, Sofidel, United States Steel, ArcelorMittal, Shaw Industries, RR Donnelley and Quad Graphics. 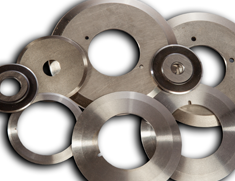 While IKS maintains a global presence supplying these large customers, we also provide the same quality industrial machine knives and blades, including our technical services, to many smaller business operations. IKS operates from an 110,000 square foot manufacturing plant in Florence, South Carolina. This USA facility not only manufactures industrial machine knives and blades, but also serves as the company’s major sales and distribution center. Other IKS owned and operated facilities are located in Canada and Mexico. Strategic warehouses located throughout the world stock and distribute IKS industrial machine knives and blades. International Knife and Saw (IKS) is an ever-growing and adapting company. We strive to provide only the highest quality industrial machine knives and blades but also outstanding customer service and world-class technical support long after the initial sale has been completed. Does your log saw limit you to less than 1 million cuts before needing a blade change? It's time to improve efficiency with IKS log saw blade grinding system.